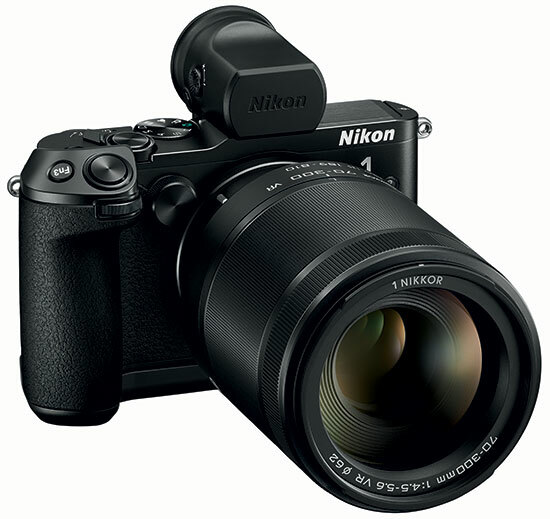 Today Nikon has announced the 3rd generation of its higher end Nikon 1 camera, the V3. It features a new 18MP 1” sensor with 171 on-chip phase-detect AF points and almost 100% coverage, the brand new Expeed 4a image processor, a larger buffer for 40 RAWs at 20fps with full AF-C and a touchscreen with the usual features (touch-to-focus, touch to take a photo, etc.). The video side of the camera has also been drastically improved. It can now shoot 1080p video at 60fps and 720p at 120fps. The resolution in the 400fps and 1200fps modes known from the V1 and V2 has been increased somewhat. And now brace yourselves for the bad part…are you ready? The kit consisting of the V3, the new 10-30mm PD lens, DFN1000 add-on EVF and GRN1000 hand-grip, will cost you a whopping £1049.99/$1199/€1249. 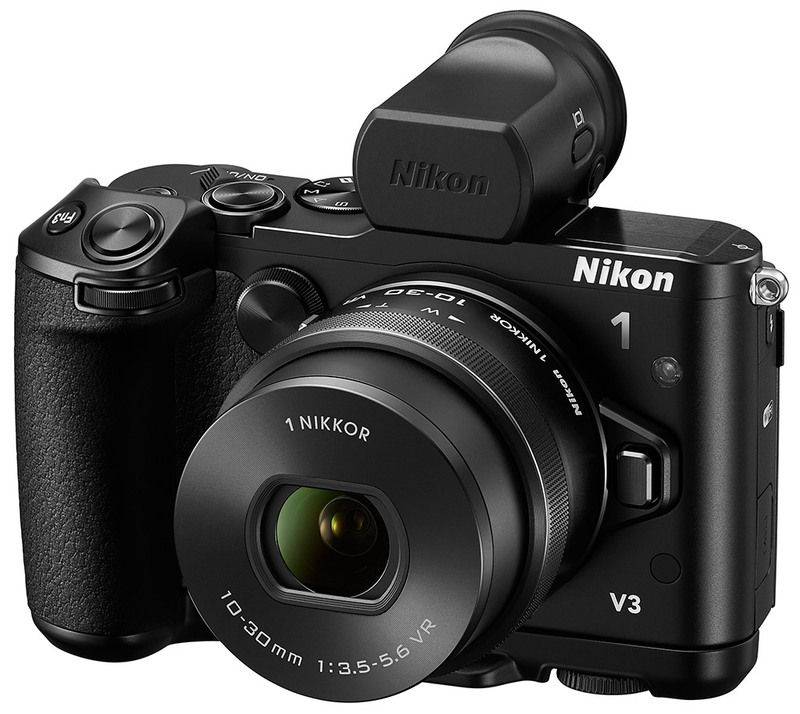 The V3 together with the 10-30mm PD will set you back £799.99/ €949. In continental Europe there will finally be a body-only option, which will cost €849. Canadian buyers will supposedly be able to purchase the camera with the EVF, but without the 10-30mm PD and the hand-grip, which is the best//cheapest option for photographers looking to upgrade from their V1/V2, like myself. As it appears Peter from Nikon Rumors has received more information regarding the Nikon 1 V3. 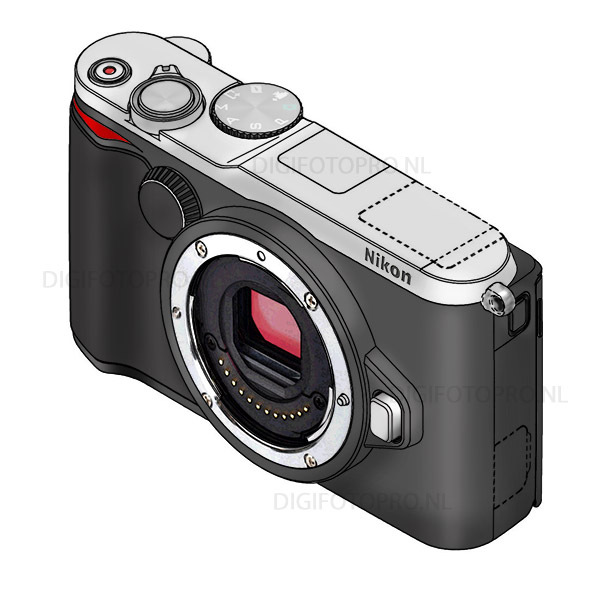 According to Nikon-Rumors.com Nikon is expected to announce the Nikon 1 V3 during the CES show in early January 2014. 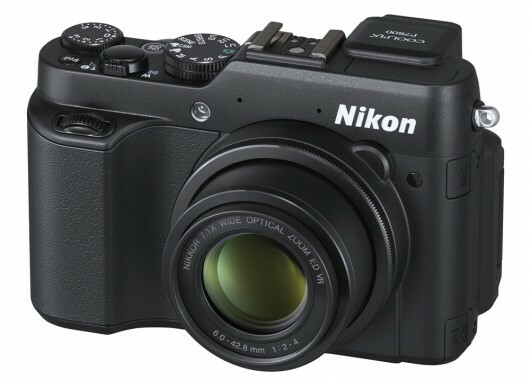 The V3 will supposedly have a similar design to the Nikon P7800 compact camera, including a standard flash hot-shoe. V3’s pop-up flash will supposedly be able to act as wireless commander. I may be mistaken, but I believe that the V2 already has this capability. Last but not least, a Firmware Update for the FT-1, making the adapter compatible with V3’s new features (which? ), is said to be in the works.